Ich gebe hier die Kommentare eines Lesers, mdv, und meine Antwort darauf wieder. Ausgehend von seinen Bemerkungen ist es angemessen, ihn als einen Apologeten der SEP-Führung zu bezeichnen. Es ist jedoch bemerkenswert, dass er im Gegensatz zu David North (oder den Talbots) versucht Teile der grundlegenden Kritik zu erwidern, welche wir an der politischen Linie und der Praxis der SEP geübt haben. Beim Versuch die SEP Führung zu verteidigen macht er unbeabsichtigt einige aufschlussreiche Bemerkungen, welche für unsere Leser hervorgehoben werden sollten. Ein weiterer Grund für die Antwort an mdv ist, dass er Ansichten äußert, die wahrscheinlich von anderen SEP Mitgliedern und Unterstützern geteilt werden. Mdvs Kommentare sind der jüngste Teil eines Briefwechsels der sich zwischen ihm und Andrew River entwickelt hatte. Dieser begann mit Rivers Blog-Eintrag auf permanent-revolution.org über David Norths Rede bei einer Slawistik-Konferenz. Was diesen Briefwechsel angeht, habe ich nichts zu Rivers Bemerkungen hinzuzufügen, und mdvs jüngster Beitrag trägt nichts neues zum Thema bei. Doch vom zweiten Absatz an geht mdv zu einer breiter angelegten Verteidigung der SEP-Führung über, und mit diesen Bemerkungen setze ich mich hier auseinander. I’m posting here some comments by a reader, mdv, and my response. Judging from mdv’s remarks, it is fair to characterize him as an apologist for the SEP leadership. But what is interesting is that unlike David North (or the Talbots), mdv tries to address some of the substantive criticisms we made of the SEP’s political line and practice. His efforts to defend the SEP leadership on these issues lead him to make, albeit inadvertently, some revealing statements which deserve to be brought to the attention of our readers. Another reason for responding to mdv is that the views he expresses are probably shared by others in and around the SEP. These comments by mdv are the latest installment of an exchange he was having with Andrew River over a blog River wrote for permanent-revolution.org concerning a speech by North to a Slavic studies conference. As far as this exchange goes, I have nothing to add to what River has said, and mdv’s latest remarks raise nothing new on this score. From the second paragraph on, however, mdv moves to a more broad-based defense of the SEP leadership, and it is these remarks that concern me here. 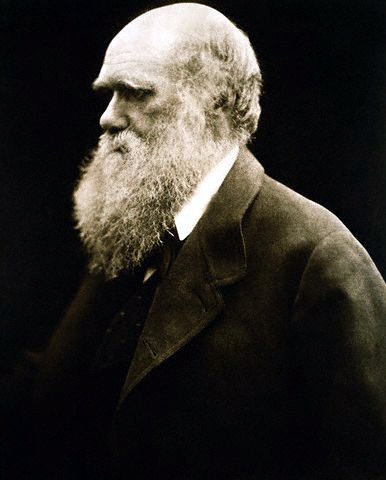 I will grant one point to my scientific colleagues and freely allow that if Charles Darwin had never been born, a well-prepared and waiting scientific world, abetted by a cultural context more than ready for such a reconstruction of nature, would still have promulgated and won general acceptance for evolution in the mid 19th century. At some point, the mechanism of natural selection would also have been formulated and eventually validated, perhaps by Wallace himself who might then have expanded his few pages of speculation, written during a malarial fit on Ternate, into the same kind of factual compendium that Darwin composed, and that guaranteed the triumph of this view of life. So why fret and care that the actual version of the destined deed was done by an upper class English gentleman who had circumnavigated the globe as a vigorous youth, lost his dearest daughter and his waning faith at the same time, wrote the greatest treatise ever composed on the taxonomy of barnacles, and eventually grew a white beard, lived as a country squire just south of London, and never again traveled far enough even to cross the English Channel? We care for the same reason that we love okapis, delight in the fossil evidence of trilobites, and mourn the passage of the dodo. We care because the broad events that had to happen, happened to happen in a certain particular way. And something almost unspeakably holy-I don’t know how else to say this-underlies our discovery and confirmation of the actual details that made our world and also, in realms of contingency, assured the minutiae of its construction in the manner we know, and not in anyone of a trillion other ways, nearly all of which would not have included the evolution of a scribe to record the beauty, the cruelty, the fascination, and the mystery. Yes, the Renaissance would have unfolded-indeed, Europe already bathed in its midst-if Michelangelo had never been born. But how much poorer would our world have been without the magnificent statue of Moses, furious and disconsolate as he holds the tablets of the law while his people dance about the golden calf, still presiding in the Church of San Pietro in Vincoli; and without the gigantic fresco of the Last Judgment, revealing all our blessed humanity in all our earthly sins, and still covering, in brilliant restoration, a full wall of the Sistine Chapel? No difference truly separates science and art in this crucial respect. We only perceive a division because our disparate traditions lead us to focus upon different scales of the identity. The art historian looks right at Moses and knows the importance of its individuality. The scientist tends to gaze upon a world ready for evolution, and then discounts the centrality of a single, admittedly fascinating, individual named Charles Darwin. But if Darwin had never been born, we would have suffered the equivalent of a Renaissance without Moses or the Last Judgment-a biological revolution without the Origin of Species; without the invocation of Julia Pastrana, the bearded circus lady with two sets of teeth, to illustrate correlation of growth; without the Galapagos fauna to embody the principle of imperfection to prove the pathways of history; without pigeons to illustrate artificial selection; without barnacles to puncture half our pride with their dwarfed males upon the hermaphrodites. 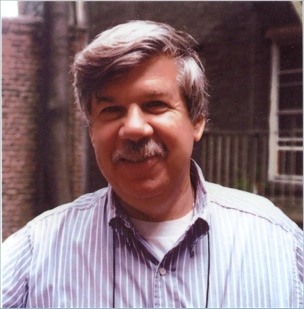 Most of all, we would have experienced the same biological revolution without the stunning clarity, illustrated by wonderfully apposite metaphors, of a complex central logic so brilliantly formulated, and so bristling with implications extending nearly forever outward, at least well past our current reckoning. In this alternate world, we would probably be honoring a different and far less compelling founder by occasional visits to a statue in a musty pantheon, and not by constant dialogue with a man whose ideas live, breathe, challenge, taunt, and inspire us every day of our lives, more than a century after his bones came to rest on a cathedral floor at the foot of whatever persists in the material being of Isaac Newton.